We all strive to eat better, reduce our living expenses, and make overall healthier choices, but sometimes it’s hard to know where to begin. Here are some of my favourite tips which I use every week to help me stay on track. Sit down on Friday night (or whichever night you choose), put your feet up, grab a cuppa and plan your meals for the week. At least your dinners, I try to organise lunch ideas too, but start with dinners and once you get the hang of it and see how well it works, you can expand. Knowing what your making will not only save on food waste it’ll save you money! You’ll be armed with a list of your required ingredients and will know exactly what to buy. Hopefully avoiding impulse purchases. Use platforms such as Pinterest, Instagram or your favourite recipe sites, to get ideas for meals. Keep it simple!! Don’t try doing hard elaborate meals throughout the week, keep those for the weekend. Write up a list of your favourite regular meals in point form on a handy card, try to write down at least 20, then you’ll be able to rotate through those and not feel like you’re eating the same thing every day. Another idea which i don’t personally use, but have seen, is to print up 20-30 of your favourite recipes or write them up on to cards, keep them in a little folder or box and you can pull out 7 recipes on your Friday night and write out the required ingredients. I would also encourage you to think about what it is you’re eating. Are you having a meal with Fish? Are you having at least one meatless meal? Are you eating enough red meat? Do you eat plenty of fresh vegetables? It’s great to grab a meal from different categories, this will give your body a wide range of nutrients. I highly recommend finding a local co op that stocks local, seasonal fresh produce. They will also generally have a great selection of organic produce ranging from nuts, seeds, grains, dairy, meats, fish and eggs. Checking for local farmers markets is also another good idea. I highly recommend you go and buy all your fresh produce from them and top up on your extras at the supermarket. Get to know your local butcher or find an online meat delivery service. A happy animal that is grass fed and looked after well, will be healthier for you and your family. I highly recommend you invest in a large freezer and order your meat in bulk to save you money. If you can not attend any of these, then here are a few tips to help you navigate the supermarkets. 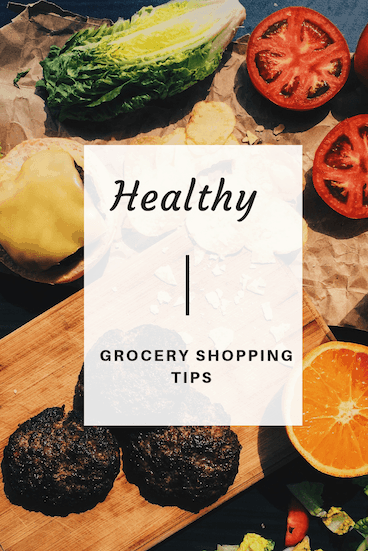 Stay around the outer edges of the supermarket where all the healthier food choices are, fruits, veggies, dairy, meats, fish and eggs. Try to avoid going down every isle! You’ve got your list, stick to it. Don’t go looking for specials, there is no point buying something when you won’t use it. It’ll go to waste and that’s money and food down the drain! Unless of course it’s something that’s freezable or non perishable and you know it’s something you will actually use! Spend some time in the first week checking your usual purchases for their contents… Is there a healthier option with better ingredients?Instead of a yoghurt with 15 ingredients, buy one with 1-5 ingredients! Is there a similar product that’s cheaper? In most supermarkets they will show the cost of the unit per 100g, right at the bottom of the ticket, It’s easy to do a quick comparison. Is there something that you use frequently and are better off buying in bulk? This will save the environment as well as cost. Once you’ve done this, next weeks run will be a lot faster and you’ll have made healthier and possibly more cost efficient purchases. After beginning this routine I’ve found that I’m not purchasing anywhere near as much from the supermarket. Over 1/2 my shop is fresh produce. Having this fresh produce around inspires me to cook with it. My children love to pick a new fruit or vegetable to try every week. It’s not always a winner but it’s great fun! It has inspired us to make more smoothies to use up any left over fruits and veggies, in turn giving us a more nutritious diet. Having a plan will hopefully stop you from reaching out for takeaway meals, and allow you to spend that extra money on quality ingredients. Get a chalk board and hang it up in your kitchen with your seven weekly meals written on it. Then you can glance at it and pull meat out of the freezer a day or two in advance. The beauty is you’re not wasting time thinking about what you’re going to cook! Cook extra! Double a recipe and freeze half for another meal ready to use on a day when you are time poor, or to utilise for lunches in the following days. Planning ahead will save you money, time and food waste! Shopping from local sources will support your local community and ensure you are eating better quality food.